Craig Anderson is a singer-songwriter. 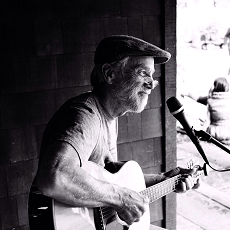 He started out listening to the Kingston Trio, and over the years Pete Seeger, Joan Baez, Gordon Lightfoot, and James Taylor have been influences and favorites. Today he loves the work of Dougie Maclean. He performs now to raise money for Alzheimer’s research, as the cause is near and dear to him. You can find some of his covers and originals on YouTube at www.youtube.com/user/capodx2/videos .